There is no better place to enjoy an outdoor concert and fantastic music by seasoned musicians than at our Uptown Market. 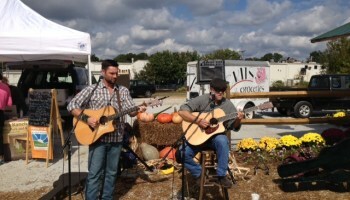 Delight in strolling the Arts & Crafts Show at the Uptown Market where you'll here the Lakelands best acoustic talents brought to you by Ashby Stokes & Friends. Ashby Stokes, 12:00 Noon – 2:00 p .m. Kellar Ridgeway, 2:00 p.m – 4:00 p.m.
Becky Greene, 12:00 Noon – 2 p.m.
RG & Stan, 2:00 p.m. – 4:00 p.m.